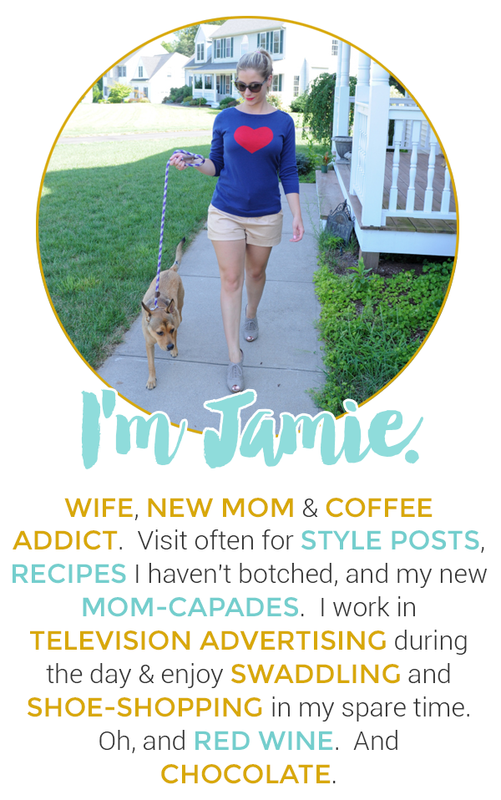 Jamie Ever After: Getting Real with Pregnancy #2 + Fave Pink Blush Maternity Top! 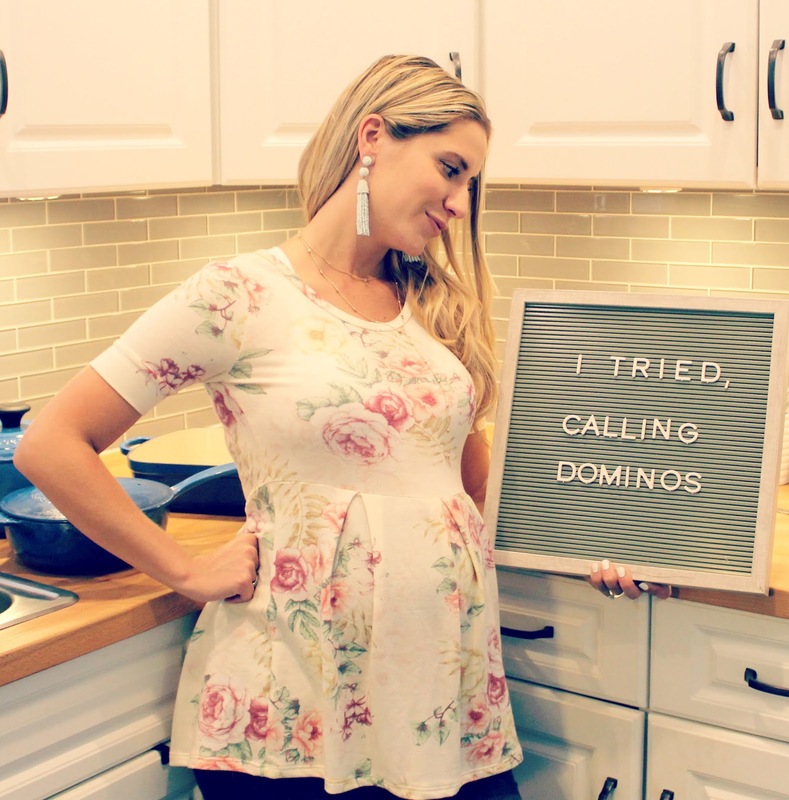 Getting Real with Pregnancy #2 + Fave Pink Blush Maternity Top! Some days I feel like super mom. I have donated 16 bags of clothing over the last month and let me tell you that is the most freeing feeling in the world. I envy minimalists and follow many social minimalist groups to try to even be 1/100th as minimal as they are and it is so inspiring. Making space for a tiny little person is a lot harder than it looks. Other days, I find myself exhausted and barely able to do thing I normally love to do. I love cooking dinner and lately it's become such a chore. I find myself guilty of letting Gavin watch YouTube while I cook a half-assed dinner just so we don't starve :) Luckily, my hubby is there to help (he's a great griller) and of course, there is always take-out. I'd be lying if I said the savings in our wine bill was not replaced by our takeout and dining spending! Another struggle is getting dressed everyday! I have to be honest- my last pregnancy was more difficult in several ways because I was so sick and that resulting in very little weight gain. I was able to fit in almost everything until month 9. This time is another story.. every day it's like I've outgrown the last. As mentioned in my last post, I really am tried to be minimalist with clothing for this pregnancy so the pieces I am investing in are pieces I can wear after the baby comes. This Pink Blush Floral Peplum top is such a cute one and it will be adorable post-baby as well. 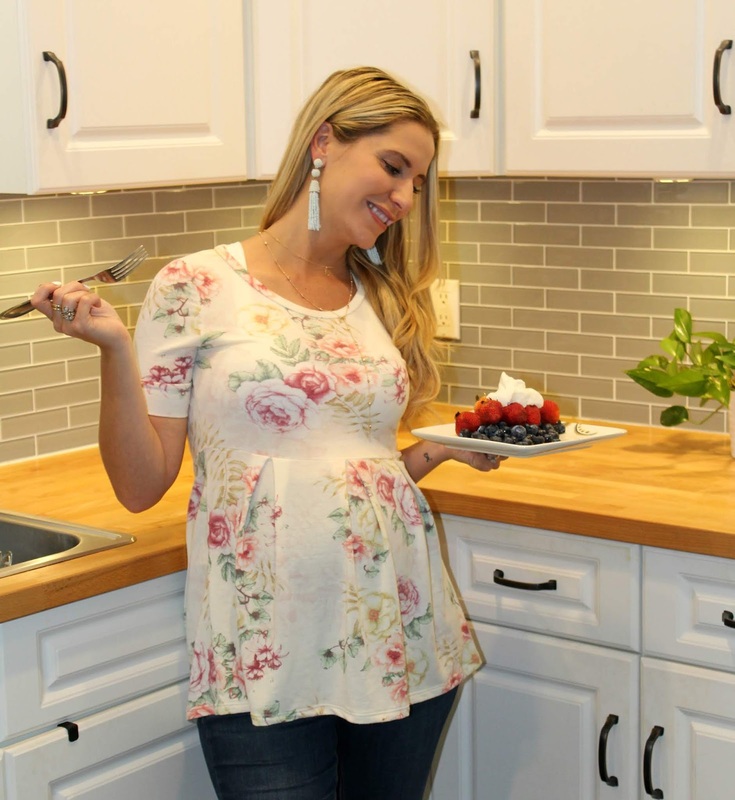 It's soft, comfortable, and feminine which makes it one of my favorite tops to wear this pregnancy.